Our Junior tennis programs cater to all abilities and are Tennis Australia endorsed. We have weekly social and competition match play for junior players. Receive $100 off your term fees by claiming your NSW Active kids voucher with us! 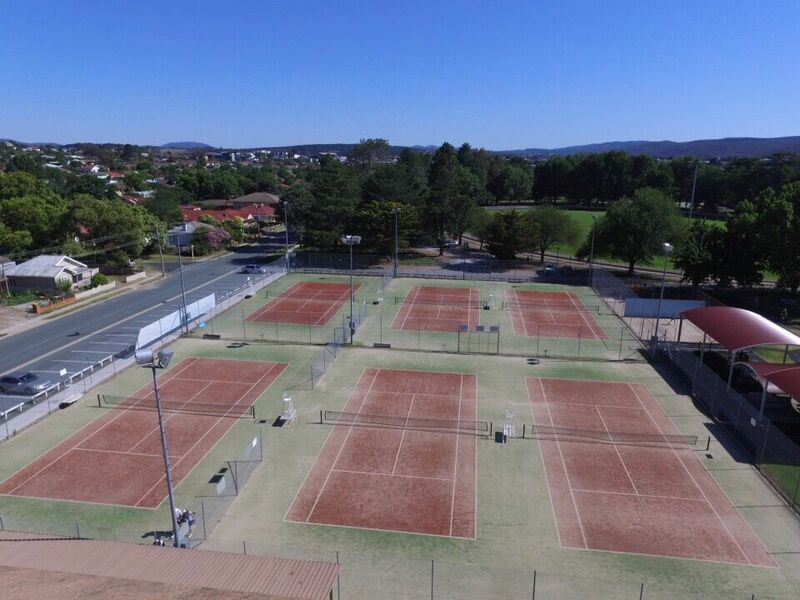 The Parkside Tennis Academy is situated next to the iconic Queanbeyan Park. The head coach, Ben Trudinger, is a fully qualified Tennis Australia Coach with more than 20 years tennis coaching experience in many of Australia's leading tennis schools including Melbourne Park - home of the Australian Open. No matter what age or standard, you'll find a home here in one of our many tailor-made programs. With clear pathways and passionate coaches, Parkside Tennis Academy is dedicated to help every player reach their potential. My son has been playing tennis at Parkside for 2 terms now and my son loves going there and his tennis has improved heaps. We highly recommend this tennis academy! My granddaughter started tennis lesson here two terms ago. We decided this may be of benefit to her in supporting the development of her gross motor skills, coordination, strength and hand-eye coordination. Our expectations have been far exceeded. From the moment she started she was welcomed into the group and has had trainers that make strong connections and build skill and confidence. Amelia looks forward to going each week and just had the opportunity to participate in a Tennis Camp. What an amazing experience and opportunity. The diligence, professionalism and ability to meet each child where they are at has made this an incredibly rewarding experience as we watch Amelia grow in both skill and confidence. Awesome coaching at Parkside Tennis Academy!! I went to Ben to brush up on my tennis, having not played competitively for over 20 years. Ben has an amazing amount of knowledge, is great at explaining the different techniques and I have really noticed a difference in my game. Thank you!! Parkside Tennis under the guidance of (Ben & his crew) do a fantastic job in developing players from the very young age to the more mature player. Ben in particular is very knowledgeable, approachable and a very good communicator to the kids and their interested parents. It is a fact our daughter has developed and improved significantly due to the quality systems in place. Another worthwhile tool that is available is Parkside school holiday camp (run for a full week) that enables good quality block of time/days to cement the training into practice. Our kids look forward to the holidays to go and learn as well socialise with their Tennis buddies. Well done Parkside you are great for the game of Tennis.